Can I do a travel assignment with my family? Ann, thanks for your question. Yes, you can take a travel nursing job with the family. 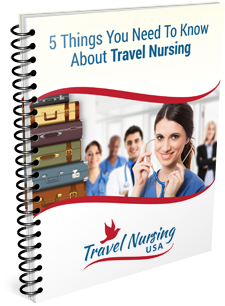 Many nurses of all ages travel with their families. If you have children, and they are school age, it can get a little cumbersome if you are changing every 13 weeks. One solution to that is to commit to yourself that you are going to extend your assignment once or twice. (They are normally 13 weeks long). This can get you through a normal school year. Others travel with a partner who does home schooling. Many two nurse families travel. Sometimes one spouse is retired. Sometimes the other spouse simply works in an area which lends itself to finding work easily in a new city. The agencies will get housing for you that can accommodate family living, though. Many, many nurses do this.